Punctured Plum: I live in a society, not an economy. I believe all have the potential for great things and love it when people realise this. 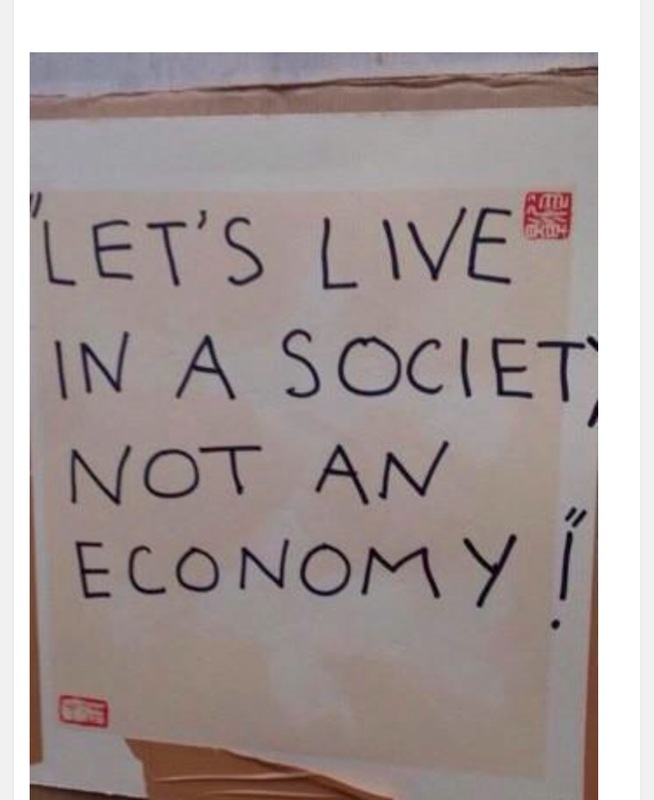 I want to live in a society, not an economy. Okay I may have a few extra pound in my pocket! But what about my neighbour? What about those who need more and haven’t necessarily had the opportunities that I have been blessed with, through no fault of their own? Is it ok that I get more and they are left behind? I don’t want to live in a society where ‘I’m alright jack,’ is the mantra, but sadly it seems I already do. Individualism has trumped community, and that’s something that looks like continuing. You may say, ‘but we are individuals,’ and of course that’s right, we are all unique, but we are all also created equal, a strange oxymoron. I think we have lost the balance somewhere along the road. Being an individual is a good thing in many ways and individualism is necessary for boundaries to be pushed and progress to be made, but for the greater good, for the development of society, not just personal gain. We somehow have to find that balance between our individuality and our sense of family and community that gives us a sense of belonging, those things that remain when everything else gets stripped away. I want to live in a society of fairness, a community of those who look out for each other, not a rat race where trimming the weakest from the herd is deemed ok. I want to live in a society where a person’s value is not calculated by accountants. For that to happen more people need to #show up in the public space, we have to meet the need in front of us and not just hope that someone else will come along and do it… What if they don’t? ← Ann Allan: Holidays, Not For Me.